Turn swing set into a "pirate ship"
I saw this 2013 Summer Bucket List Challenge and thought I'd go ahead and create my own list. 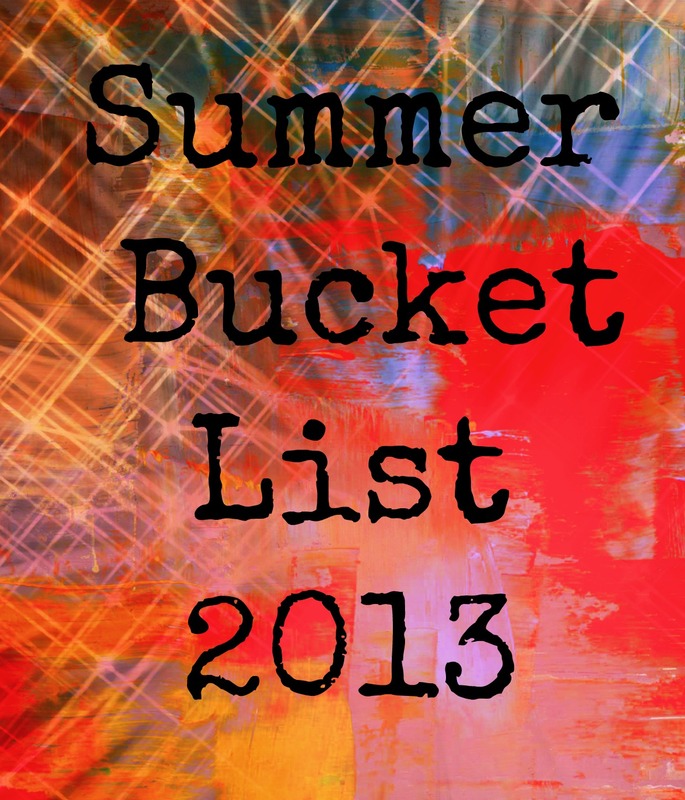 Some of these are things that Husband and I want to do with the kids, some are things the boys are asking to do this summer. 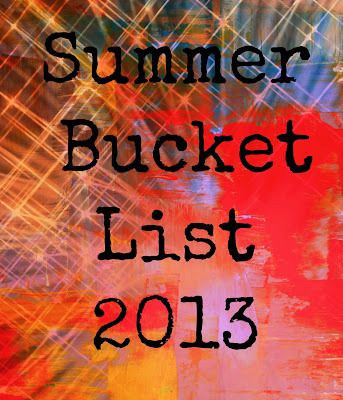 There was no special order to the list...the goal is just to have intentional fun and make memories. You all know I love books, and I love free stuff. Free books? Yes, please! Dolly Parton's Imagination Library was started as a way to get quality books into the homes of children and foster an early love of reading and learning. Children under the age of 5, who live in participating areas, are eligible to receive a free book every month through their 5th birthday. I looked into it a couple times, but it was never available in our area. Then it happened. I saw an announcement on a local homeschool group's Facebook page that the program had found a sponsor and was available locally. Elliott has aged out of the program, but Emory and Eleanor are eligible so I immediately signed them up! I registered at the very end of February, and we received our welcome book, The Little Engine that Could by Watty Piper, in April. After that, children receive their monthly book based on their age group. You can read the full list of Themes & Concepts by year, as they try to send developmentally appropriate books. This means we'll receive two different books each month until Emory ages out of the program (he still has more than a year left), and of course Eleanor has quite a few free books coming her way! I can sign in to my account to see what book titles are scheduled to ship each month. For May, Eleanor's age group is scheduled to receive My First Songs, and I assume it is the board book by Tomie dePaola. Emory should receive Grandfather Buffalo by Jim Arnosky. I've looked over some of the titles in the past, and some are classics, while some are new to me. I am excited that I have a way to easily discover new-to-me authors and books, and add to our personal library for free! This post is part of Blogging through the Alphabet, so be sure to check out what others are talking about this week! 1. I just announced last week that we were moving . . . and now we're not. When it came down to it, we couldn't go through with it. We like this area too much, we like our spacious yard, we like knowing we have good neighbors. I'm happy. 2. Now I am unpacking all the boxes I had already packed. Oh well, this whole process has definitely given me the opportunity to purge, minimize and organize. 3. Husband went to a convention for work, and the exciting part to me was all the random junk he brought home. You know, all those pens, flashlight key chains and letter openers you get from the vendor hall. Am I nerd, or what? 4. I'm getting pretty excited about our trip to Georgia soon! Elliott wants to go to Legoland, but beyond that, we are still finalizing our plans. 5. 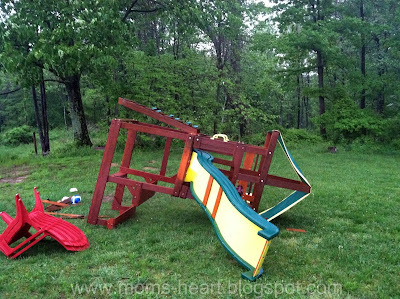 You know how Elliott and Daddy just repaired our swing set? AHHHH!! Husband added more anchors to it when they repaired it a few weeks ago, but apparently the wind is not our friend. I noticed a limb down in the backyard after the storms today, and went to check out the front door. I wasn't expecting this. The damage is not as extensive as the first time, but of course the most difficult piece to fix last time is the part that was damaged this time. Elliott is excited that they get to work on it again. Mom and dad . . . not so much! The first time I heard the word Handicraft, I had one of those "Uhhh....what?" moments. A Handicraft is defined as an art, craft or trade in which the skilled use of one's hand is required. Handicrafts are typically part of a Charlotte Mason education. They teach the child to work diligently and carefully, to learn to follow a sequence and in the end they have something useful they can display, gift or even sell. Great. Other than scrapbooking, I have no artsy/crafty skills or talents to pass on. I don't sew, knit, quilt, or do needlepoint. Not for lack of exposure, mind you. I remember my mom making us Halloween costumes. My grandmother tried to teach me to sew. My stepmom tried to teach me cross stitching and latch hooking. I just preferred to keep my nose stuck in a book! So now I am trying to be more diligent about including Handicrafts in our homeschooling. I don't need the kids feeling like they have no handicraft skills. Who says I have to be the one to teach them, right? I've gone over Ambleside Online: Handicrafts and Simply Charlotte Mason's Handicrafts and Lifeskills to come up with some ideas for introducing Handicrafts into our home. Right now we're exploring woodworking at the express interest of the 6 year old. He wanted to learn "to build things" and "use tools" so this seemed like a good place to start. Husband and I figured this is something that is fun for boys, and knowledge of tools is a useful skill for anyone to have. We are starting very basic by allowing the boys to help around the house (like when he helped turn his swing set From Ruined to Like New) and by going to the free Home Depot Kid's Workshops. Husband has taken them two months in a row for a fun Father-Son outing. The little wooden kits are simple, but it gives them exposure to tools and tool safety, and they get the accomplishment of building something tangible and useful. We have enjoyed using these bird feeders to enhance our nature study! 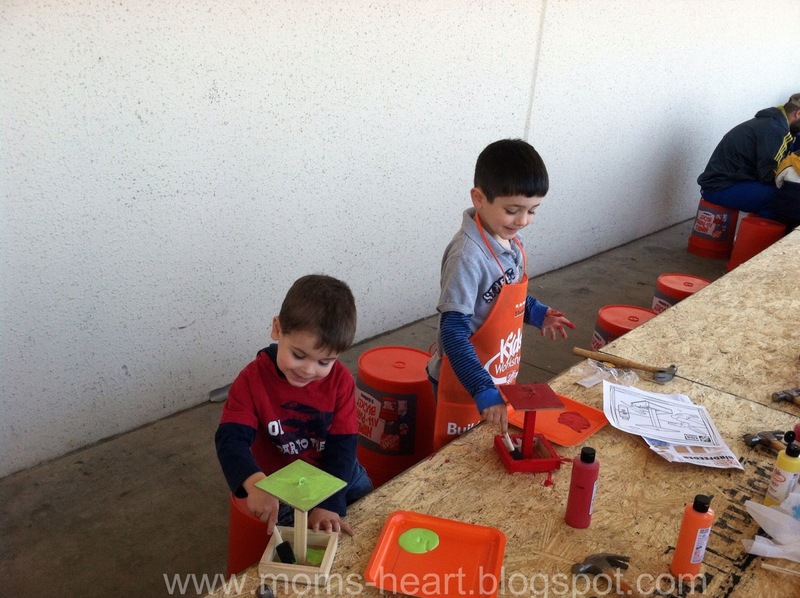 Elliott also saw a large wooden dollhouse kit that he wants to make for his sister's first birthday! Isn't that sweet? He has such a giving spirit! I vaguely remember "helping" in my grandmother's garden, but that's the extent of my gardening experience. It couldn't hurt for me to learn some basic gardening skills along with the kids, right? 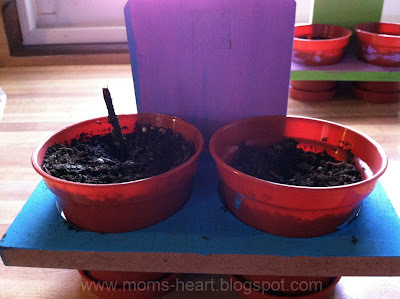 The kids planted basil, which I do use in our cooking. I hope they get some sprouts, at least. The Husband also recently picked up two "indoor greenhouse" kits for the boys, one with red & yellow peppers, and one with two more herbs. They also have a root viewer that I think will be more of a novelty, but we're going it give it all a shot. Husband was raised in the family garden, so the boys do have hope. It'll be interesting, that's for sure. I think we'll make it into a nature study unit by reading Seed-Babies. Another area where I have no marketable skills. By now, you're probably wondering if I can do anything. No, I don't bake well either. Moving on. Although we're going to continue Art instruction as its own subject, I do think there is some overlap between Art and Handicrafts. We are going to continue to explore ARTistic Pursuits, which we reviewed not too long ago. His favorite independent pursuit is to draw Star Wars characters, but I think he will be particularly interested in clay as well. Then I'm not sure what we will add for this fall/winter. I've read that many young boys like soap carving, so I thought that would be a good indoor activity. What Handicrafts do your kids enjoy? Do you have any specific suggestions for 6/7 year old boys? This post is part of the Blogging through the Alphabet challenge, so be sure to check out what other bloggers are sharing for H week! I have a confession. I don't budget for my homeschool purchases. Yeah, I know. I bet you don't hear that from many homeschoolers, do you? I'll tell you why, though. I found a homeschool philosophy and a curriculum I identified with very early on. This meant I could start planning, window shopping and buying here and there all year as I find good prices, spreading my "budget" out so that purchases are almost inconsequential. However, just because I don't have to budget a large chunk of money for one major yearly purchase doesn't mean I don't care about what I spend. I do aim to be wise with my spending. 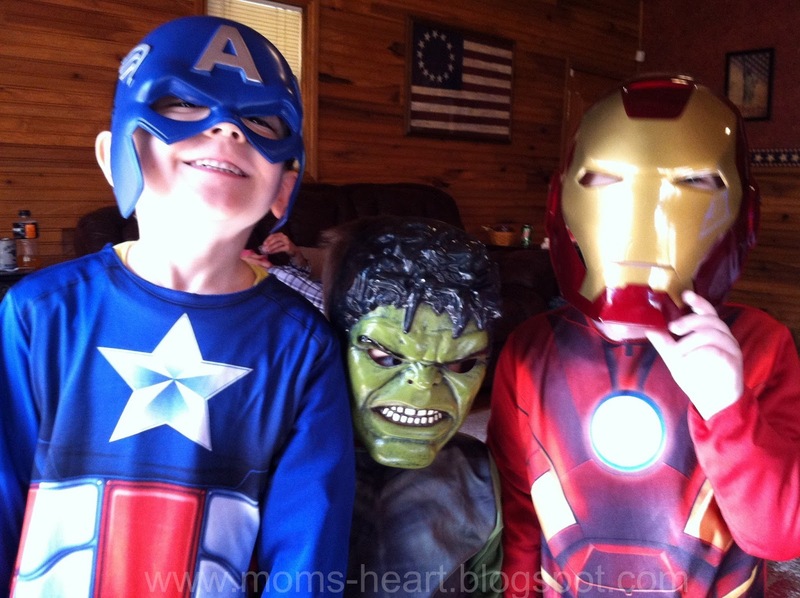 The Frugal Homeschool is the topic of the Schoolhouse Review Crew's Blog Cruise, so I'm going to try to share how I try to save money in our homeschool. Ambleside Online is the most rigorous Charlotte Mason curriculum I have found, and it is free! Many of the books and resources used are in the public domain, which means they are also free! This means I can get many of them for free on my Kindle app until I find a hard copy of the book at a great price. The Schoolhouse Review Crew has been such a blessing, and I cannot begin to tell you how grateful I am for the opportunity. It is sometimes hard work to review the items and write fair and honest reviews under a strict deadline, but we've received many wonderful products, some of which we will continue to use far after the review period. Right now, our current reading, math, PE and art curriculum, as well as many supplements for various subjects have come from the crew. This program allows me to learn what does work for my family, so I'm not wasting money on things that don't work. 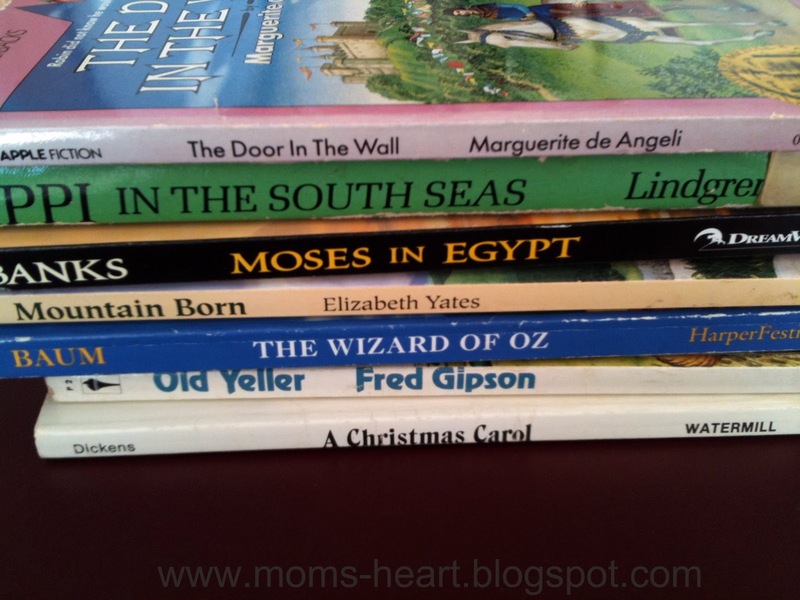 As Charlotte Mason homeschoolers, we thrive on books, and the best part is, real books do not need to be purchased from curriculum publishers. The library is the most economical source for books, especially if you want to preview one before purchasing it, but it's not always the most practical. Before I go book browsing, I scan my book lists so titles and authors are familiar, and I keep a list on me too. Ollies is a Discount/Buyout store that has a decent, though random selection of books. I found a children's poetry anthology for 1/4th of the price on Amazon, and classic picture books for just a few dollars each. I've also found some fun art supplies here too. Book Closeouts is an online book discount store that also has random selections, but I have found several titles for Ambleside Online for the upcoming year at a tiny fraction of the cost of buying new. Book Sales at the library and museum are a great place to find books and resources, and you are putting your money back into the community. I have even been known to use http://www.booksalefinder.com/ to find sales on vacation! Goodwill/Yard Sales/Flea Markets are hit or miss, but in addition to books, they are great place to find board games and other educational or crafting materials. I just found a huge art book for $0.50 at a "flea market" booth at the local spring fest, and I mentioned recently that refurbishing this student desk is on our to-do list. Flea Market find that will be "flipped"
Amazon I get their free kindle books all the time. Also, their prices are usually the cheapest when buying new, they have the 4-for-3-Books and of course their free shipping. Educator Discounts are often offered to homeschool teachers as well, so check out this extensive list to find stores near you! 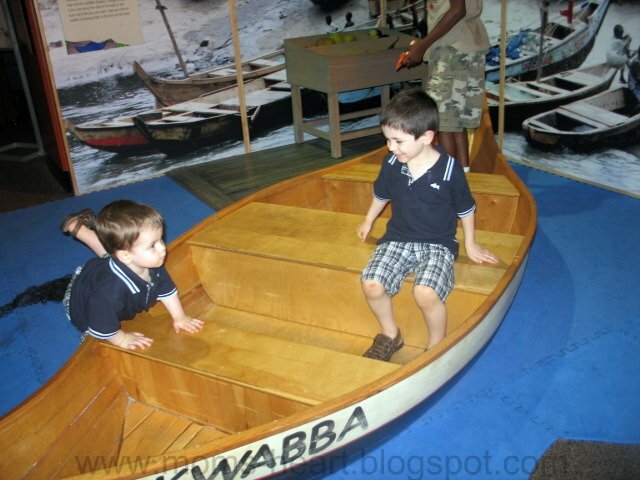 Field trips are fun, but can be costly if you're paying regular admission to museums, zoos, and aquariums. However, many will offer discounted or free admission after certain hours or on certain days of the week, or consider an annual pass if you like to visit frequently. In addition to your big name local attractions, consider low-cost alternatives. Instead of the zoo, try a state park or wildlife rehabilitation center. Interested in art? See when the local college's art department is hosting an exhibit or see if a local town is having a local-artist art walk. I recently compiled a list of common Free and Frugal Field Trip Ideas to remind myself that educational opportunities are everywhere, and sometimes its just fun to get out of the house! Also, be sure to ask about Homeschool Discounts! Some places we've received homeschool discounts are the Creation Museum, Ripley's Aquarium of the Smokies, and Parrot Mountain and Gardens. Many places also offer special classes for homeschoolers, so check their websites or call ahead! Target Free Tuesday at Imagine It! Contests, Giveaways and Freebies - There are always giveaways for books, DVDs, study aids, and even full curricula. Publishers are always marketing their products, and sometimes they will offer free e-books, samples or even a unit from their program to entice you. For example, I've received a full art DVD that a well-known art company was offering free at one time. I've also won contests for great products to enhance our homeschool. Just use your discretion and choose reputable blogs and websites before entering your personal information. A few other FREE things you might be interested in . . .
Lego Club Magazine - free Lego Club or Lego Club Jr. So there you have it. That is how I save money all year, buying little by little, and always scouting for deals. Please share your favorite frugal tips and be sure to check out some other frugal homeschooling tips from my fellow crew mates! (1) I signed up for the Teacher Rewards card at Jo-Ann Fabric & Crafts. Not that I'm a crafter or anything, but we do go into craft stores occasionally for random things, and a discount is a discount, right? 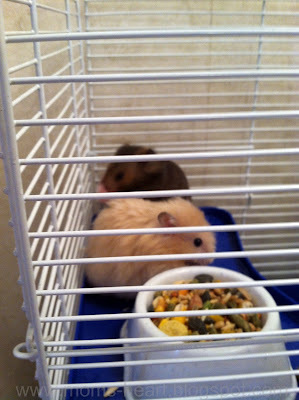 (2) The boys recently got hamsters. Emory picked out the first hamster. It is the gray one, and he named it Black Knight. Elliott's was named Elephant for about a day, before he settled on Fuzz Ball. Gotta love it! It makes for a different type of science lesson, that's for sure. We've discussed rodents, their diet and nocturnal animals, among other things. Now Elliott is asking for a reptile. Not yet, son. (3) We recently visited my husband's brother, his wife and kids. Their youngest is 5, so right in between our boys. They all get along SO VERY WELL and it's always so fun to watch them play together. They don't fight, and it is always an adventure! The boys are already asking when they get to see their cousin again. (4) We're moving again. My lazy side is balking and screaming NOOOO at the thought of moving again. My practical side is saying it's not a terrible idea. The move this past September was because of Husband's job. This time it's for convenience. When we first moved, we were in a hurry, and we ended up downsizing. We love the general area, the neighbors and the outdoor space, but we are feeling claustrophobic. So we "lucked" into an available house not too far from here that is much more spacious. It's going to be strange going from country to city and losing so much yard, but the house is what we need, there's a park within walking distance, and I will have a school room. I'm finding the postives! (5) Eleanor is already beating her brothers up. 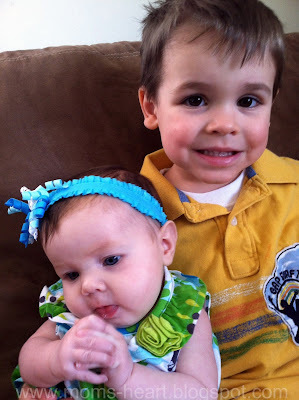 The boys like to take Eleanor's fists and have her "punch" their noses, and she just giggles and giggles. It could be that she's tired of Emory giving her slobbery kisses, so she's ready to fight back! Your turn! Check out Miranda's Random 5 on Friday series and share 5 random facts about yourself! I believe reading is the most important academic skill a child can learn, so I am always looking at ways to supplement our reading instruction. I recently had the opportunity to review LiteracySoft, which creates reading programs that can be used by all types of students: adult learners, homeschoolers, dyslexic readers, and ESOL students. LiteracySoft is dedicated to delivering high quality low cost reading programs for the purpose of improving literacy for all age groups. Our flag ship product Phonics and Reading With McGuffey is suitable for both young and old students. 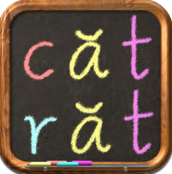 As a member of the Schoolhouse Review Crew, I was given the opportunity to try out their Phonics and Reading with McGuffey app ($19.99) but there are also PC and Mac versions available. This program uses the McGuffey readers and turns them into 52 fun reading lessons for a new generation. Elliott (6) has been using another reading program with success, but the daily lessons are time consuming, and with an infant who is demanding of my time and attention, we were often being distracted by her. As homeschoolers, we have the flexibility to try something new, and the thought of being able to hold the baby and still do reading lessons while we were all cuddled up on the couch really appealed to me. We started at the beginning, even though Elliott is an emergent reader. I think it moves too quickly for beginners with no experience, but for us it was a thorough review. Since it moves quickly children are reading real words and sentences almost immediately, so it wasn't "boring" for him to start fresh. You can see at a glance what will be covered during each lesson. New sounds, blends and words are introduced at the beginning of the lesson, with opportunities to practice and review other sounds as well. The Phonics Blender allows the student to use all the letters/sounds learned up to that point to practice real or nonsense words. I love the Lesson Illustration, because I have Elliott narrate what he thinks is happening, then we move into Reading Practice where he gets to see if he was right! The Spelling Practice allows the student to spell the words from memory (which I like), and the Sight Word Drilling presents three choices and speaks the word so that the student can choose the correct word. At any point, if the student needs help, they can touch certain areas of the screen for assistance. Each lesson is basically the same, with the same activities and games - which could be a pro or con. You can repeat the same activities as many times as you wish, but students who need variety or alternate explanations to master a concept may struggle. However, students that thrive on structure, repetitive activities and predictability, particularly those that pick up on reading quickly, will probably like the simplicity of this program. While it presents many important topics, it doesn't always explain them. It might explain that when words like Ann have double consonants you only pronounce one n, or that vowels can have short or long sounds, but it doesn't discuss the difference between a consonant and a vowel. I also noticed that varied punctuation like commas, apostrophes and question marks appear without any explanation as to what they mean. We haven't covered possessive nouns so I had to do a quick explanation. It definitely requires adult interaction for beginners. The app itself is easy to navigate and use independently, but I do believe parents should be involved in the process of learning to read, so I don't really suggest you send your beginning reader off with this program and expect them to master it alone. The program is multi-sensory, and I think it will work for many different learning styles, as well as compliment many other reading programs. You can add up to 10 users, which makes it ideal for families with readers on different levels, or tutors who want to utilize it with several students. I think this program makes an excellent supplement. We are enjoying the app, and I like that I have a portable reading program for when we are traveling. I think it provides a nice change of pace from a traditional reading curriculum. Plus, what child doesn't love playing on the iPad? You can try the first TEN lessons for free and check out the Crew's other LiteracySoft reviews to get a better idea as to how this reading app might fit your family! Pizza Hut Book It Program! It's time to sign up for the Pizza Hut Book It Program for Homeschoolers! This program is for children who will be in K-6th grade (ages 5-12) as of September 1st, 2013. This is an incentive program for encouraging reading, and your kiddos get some pizza in the process. Materials will ship in September. They even have a list of 100 Great Read-Alouds for all ages, if you need some inspiration.